Can Other See That You Belong to God? God calls us to a life of joy, obedience, and trust. He calls us to be different from those around us. He calls us to be holy. In this rich study, you will discover that holiness is not an arbitrary standard within today's church or an unreachable goal of sinless perfection. 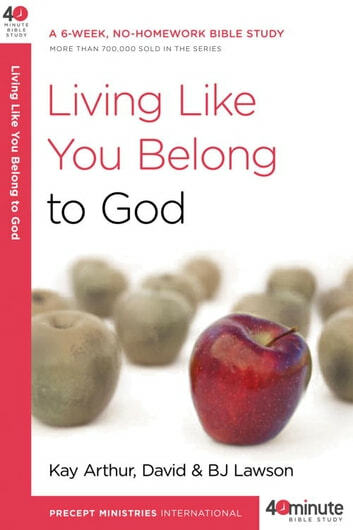 Holiness is about pleasing God--living in such a way that it's clear you belong to Him. Holiness is what makes you unique as a believer in Jesus Christ. Come explore the beauty of holy living and see why true holiness and true happiness always go together.